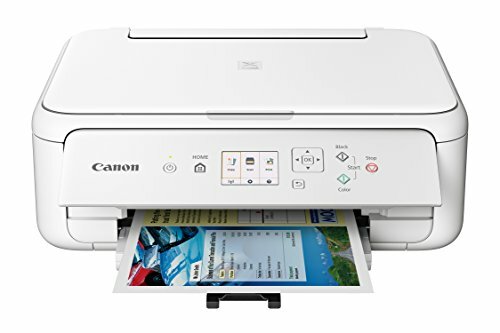 Canon TS5120 Wireless All-In-One Printer with Scanner and Copier is currently selling at $99.99, approximately $26.12 higher than average, giving a potential saving of $8.30 right now. With a lowest price of $49.99 and an average of $73.87 it is selling on the high end of its usual range. Price volatility is 6.24% (meaning it goes up and down quite frequently), so the price may drop reasonably soon. Right now this product is a recommended 'ok deal'. 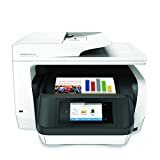 Compare the current price, savings (in dollars & percent) and Buy Ratings for the top Office Printers that are closely related to Canon TS5120 Wireless All-In-One Printer with Scanner and Copier. Here is how Canon TS5120 Wireless All-In-One Printer with Scanner and Copier compares with other leading Office Printers. Meet the PIXMA TS5120 wireless inkjet all-in-one home printer - a great all around printer made to handle all of your everyday printing needs. With the TS5120 easily print documents, forms, and concert tickets and even great looking borderless1 photos. Connect the way you want to with the features you'd expect like AirPrint2, Google cloud Print3 and with-fi4 with the built-in scanner you can make copies quickly and scan important documents right to your smartphone using the Canon print App5. Welcome to easy document & photo printing, right at home. FeaturesEnjoy the simplicity of connecting your smartphone, tablet and all your favorite devices with ease. Print hassle free - even from the Cloud4, Bluetooth6, and from social media.5Compact size: the PIXMA TS5120 is the Wireless all-in-one printer that's just the right size with all the right features.With features like AirPrint 2, auto power on/off, built in Wi-Fi 1 and PIXMA cloud Link4 - it's easy to see why the PIXMA TS5120 makes printing quick and easy.